Presented here, a RARE 18th Century American Brass Anchor Lantern. Pierced decoration on both top and bottom with a very heavy blown globe. The lantern still retains its original double whale oil burner. 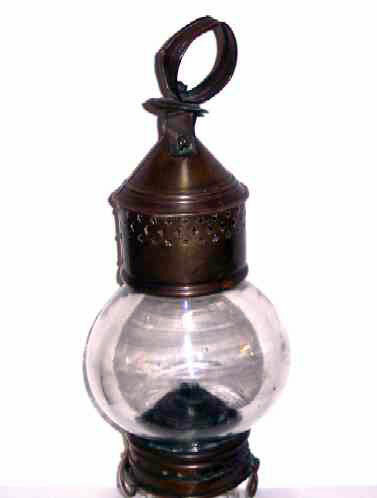 A rare example of early American lighting, circa mid 18th Century. If you listen closely you can almost hear the creaking of the timbers as the vessel rocks at anchor. Height is 15" to the top of the handle.